Press Release from: Kimberly Hartke, publicist for Farm-to-Consumer Legal Defense Fund. This Thursday, January 30, 2014, the Virginia state legislature takes up a bill that would protect farmers from abuse by local zoning officials and county regulators. The “On-Farm-Activities Act” or HB2628/SB51 Agricultural Operations: Local Regulation of Certain Activities is a product of a year long task force with members ranging from Virginia Association of Counties, to Agribusiness Council, to Farm Bureau. For the first time local food proponents had a seat on the task force, Joel Salatin and Lois Smith of Virginia Independent Farmers and Consumers, and Martha Boneta, a Farm-to-Consumer Legal Defense Fund member. Near miraculously, these quarreling farming groups came together and formed this compromise bill. Another bill that provides remedies to citizens who are being hassled by bureaucrats, HB1219 Unconstitutional Acts and Ultra Vires Enforcement by Localities; Remedies. It was authored by Mark Fitzgibbons, another task force member who is sympathetic with the huge cost of defending one’s livelihood and property rights when city hall runs amuck. This bill is designed to give regulators pause, because the fines and penalties they mete out, would come back on them if their actions are found to be trespasses. Martha Boneta appeared on Fox and Friends, a national cable TV show to discuss the farm freedom Virginia issues. An interesting constitutional amendment for farm freedom Virginia was also introduced this legislative session. 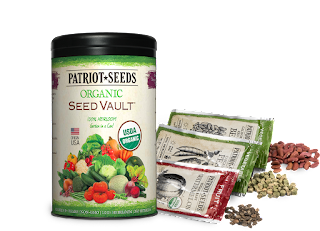 The work of Christine Solem, a longtime farmer and citizen activist well known to the General Assembly worked on HJ170 Constitutional Amendment; Right to Acquire Farm-Produced Food. Christine’s late husband was the goat farmer who gave away his cheese at the farmers market in Charlottesville, VA when local authorities prohibited him from selling it. See Government Regulations Create High Hurdles for Small Farmers. Act today, our farmers are outnumbered and under represented. 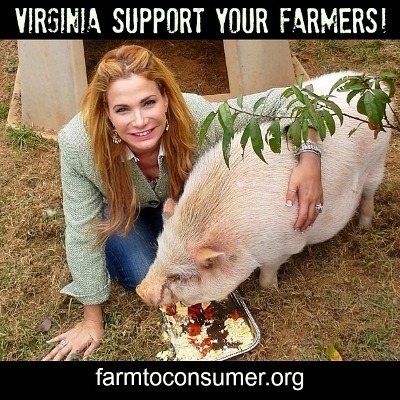 Click (above) on each of these bills and cast your vote for farm freedom Virginia on the Richmond Sunlight website. Also, add comments as to why you support them. Motivated to do more? See and share the Farm-to-Consumer Legal Defense Fund Action Alert, bit.ly/FRN13878A . Finally, if you can go to the hearing in Richmond this Thursday, GO! A visible show of support from a large crowd of concerned citizens can make a big difference in the actions on these measures that will be taken. 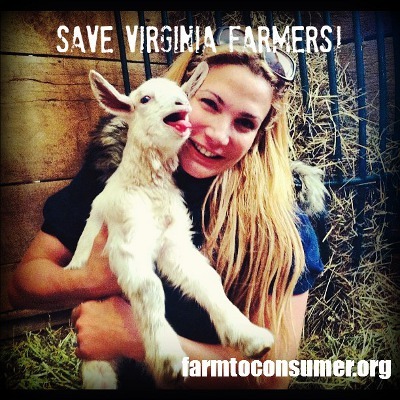 See details on the FTCLDF Action Alert about farm freedom Virginia (above).